This high-tech, easy-to-use lamp controller lets you control a lamp wirelessly from any INSTEON-compatible controller. Use a wall keypad, handheld remote or even a computer or mobile phone. Control on, off, dim and bright. Settings include programmable on/off fade rates and preset on levels. The LampLinc simply plugs into an outlet and your lamp plugs into the bottom. 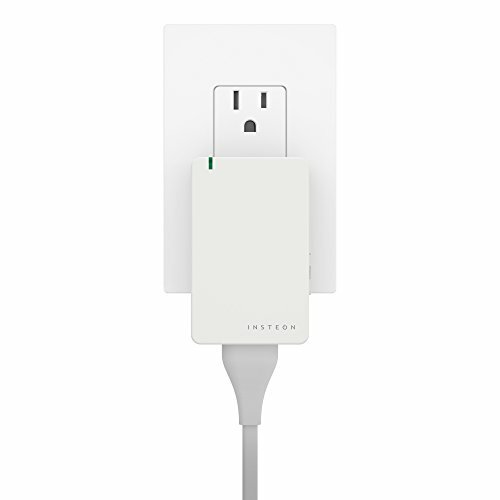 Once installed, link it to an INSTEON-compatible controller using a simple Plug-n-Tap programming. With high-end quality and remote controllability, you'll see how easy it is to create your own smart home. Dimensions: 7.2 x 7.5 x 2.2.